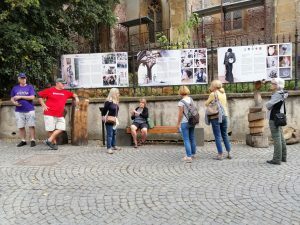 Dear traveller, my name is Adela DADU and I am a tour guide and travel consultant in Sibiu. My story as a tour guide started in 2005 when I had the chance to work at Hollywood Universal Studios, California. It was an amazing experience telling people about Transylvania and Romania. Officially, I started my work in tourism in 2007 when Sibiu was European Capital of Culture. I used to work as a volunteer in organizing different cultural and sports events, but also as a tour guide for different official groups. 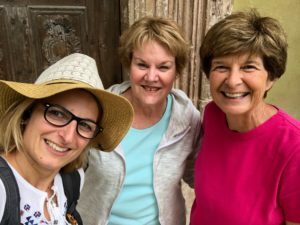 Ever since, I have worked exclusively in tourism: at the Tourist Info Center in Sibiu (Town Hall and Airport), at the Tourism and Culture Office, at the County Tourism Association. 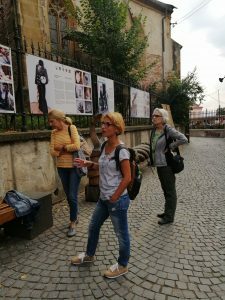 Today, apart from being a professional tour guide I also work as a tourism marketing consultant for event venues and the Sibiu Tourism Board. 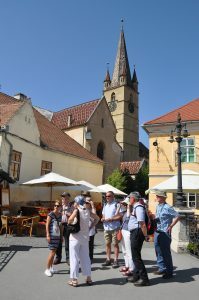 In 2012 I started working as a Sibiu private tour guide organizing day-trips in Transylvania, theme tour and soft trekking tours in the mountain areas. 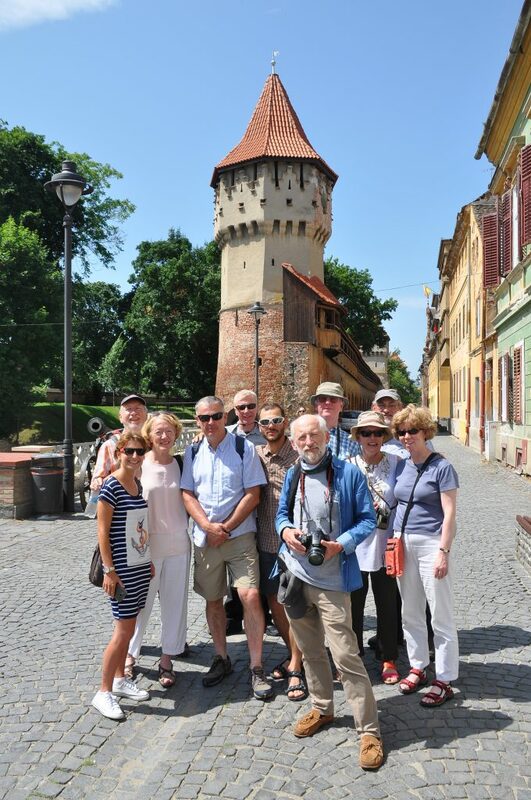 I enjoy sharing my knowledge with all the tourists interested to discover Transylvania and its rich heritage, eager to explore such a mixed culture and civilisation and live an unforgettable experience. 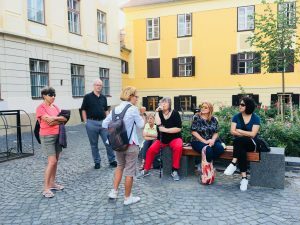 If you want to stay in Sibiu and combine different tours, my expertise in this region enables me to create customised itineraries for different day trips. Thus, you can enjoy your vacation knowing that all the details have been taken care of. If let me know your preferences and your expectations and I will bring different suggestions and try to tailor a tour that suits you the best. 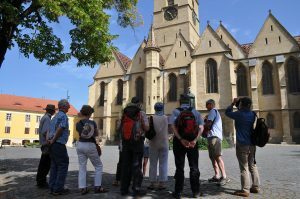 Let’s enjoy a walking tour in Sibiu in English, French or Spanish. See you in Sibiu, Transylvania!